A fire hydrant broke at the corner of Sixth Street and Hearst Avenue about 8:27 a.m, according to Berkeley Fire Department spokesperson Keith May. 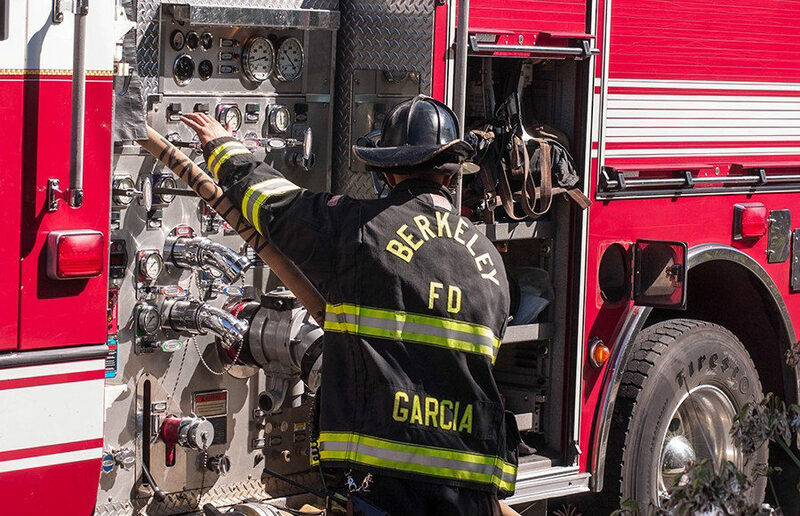 With a fire in Butte County reddening the Berkeley skies and a blaze in Oakland prompting full response from its fire department, Berkeley Fire Department is sending engines for support. Berkeley Fire Department responded to a fire at 2310 Fulton St. — which was determined to have been caused by a dryer that caught fire — after receiving a call at 6 p.m. about smoke billowing out of the apartment complex, according to BFD spokesperson Keith May. About 6:05 a.m., Berkeley Fire Department, or BFD, received multiple calls about a structure fire at 44 Alvarado Rd. BFD responded on the scene first with OFD right behind. BFD received a report about the boat at 6:53 p.m. Aug. 7. When the BFD members responded, they found that the boat had been there since the day before.